We decided to go on an adventure today and walk to the Youth Camp where everyone here talks about going swimming. We were told that it was about a three-mile walk and although most people drive there, our lack of a vehicle (or even bicycles) left walking as our only option. It was a gorgeous day with a nice breeze though, so that task seemed much less daunting than it would have been on a warmer summer day. 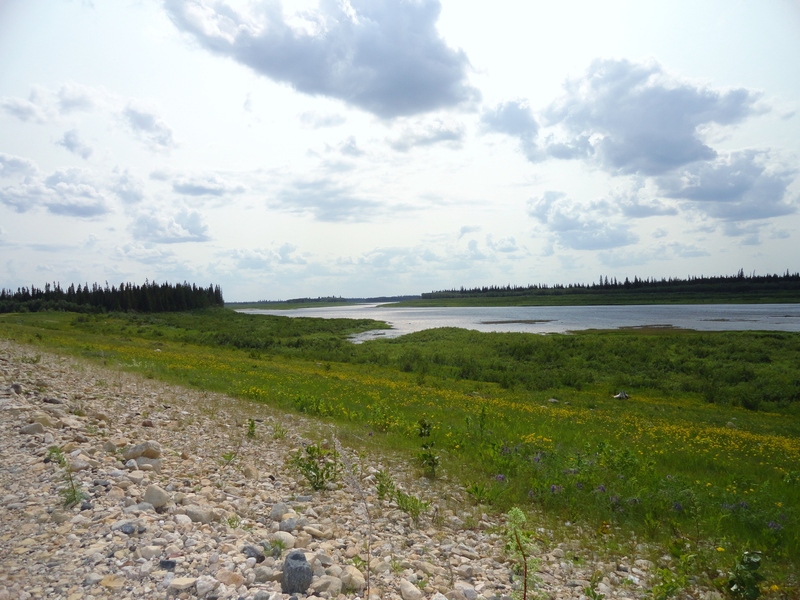 The walk began along a road that closely hugged the river, but as we continued the river occasionally disappeared into the trees. We did a fair amount of exploring along the way, stopping to investigate smaller paths and trails as we stumbled upon them and taking time to enjoy the view of the towering trees on either side of us. After about 80 minutes of walking, we began to wonder if we had made a wrong turn since we had yet to find anything that resembled a Youth Camp (or, at the very least, a place to go swimming). Just as we gave ourselves another 15 minutes to keep walking, a tall dyke came into view. We climbed up the side, barely managing not to slide back down on the loose gravel, and were welcomed at the top by a breathtaking view. Even though it was an absolutely beautiful day, there were only a few people swimming and enjoying the weather by the water. We walked down to the water and then made our way back to explore the Youth Camp a little bit more. 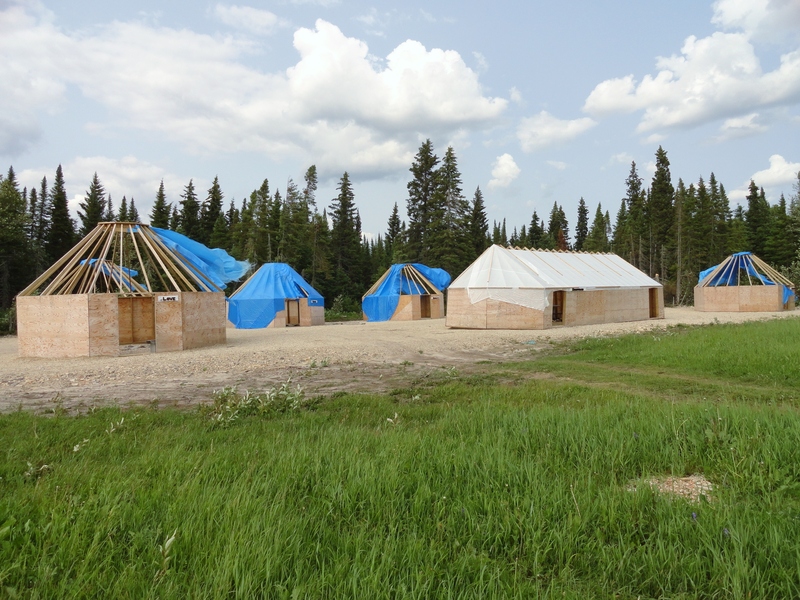 It sounds like the camp is used primarily during the spring and fall months for youth gatherings, but is also occasionally used by teachers organizing events for groups of students throughout the school year. 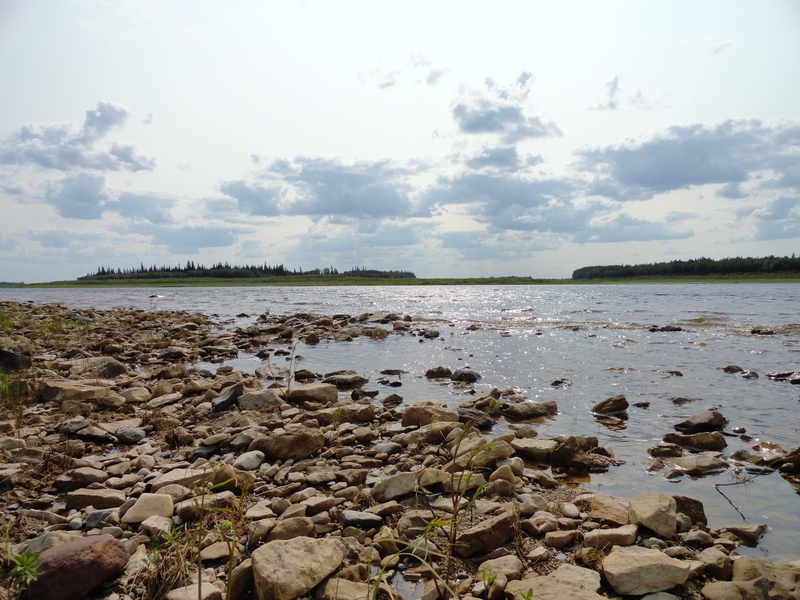 After exploring the Youth Camp for a little while, I took some time to walk along the shoreline. I put my feet in the water and spent some time just staring out at the river. 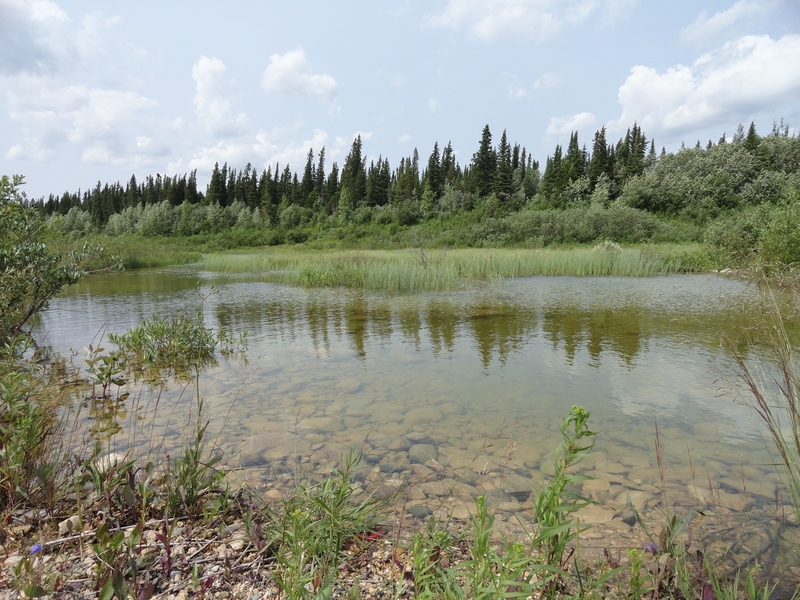 It is hard to explain what it feels like to be standing on the edge of an island in Northern Ontario looking out at a landscape that is inconceivably vast. It is also hard not to accept moments like that as ones of clarity and perspective. At the risk of sounding too hyperbolic, all I could really do is take a deep breath, smile, and take a mental photograph that would hopefully be much more vivid than a real one could ever be. 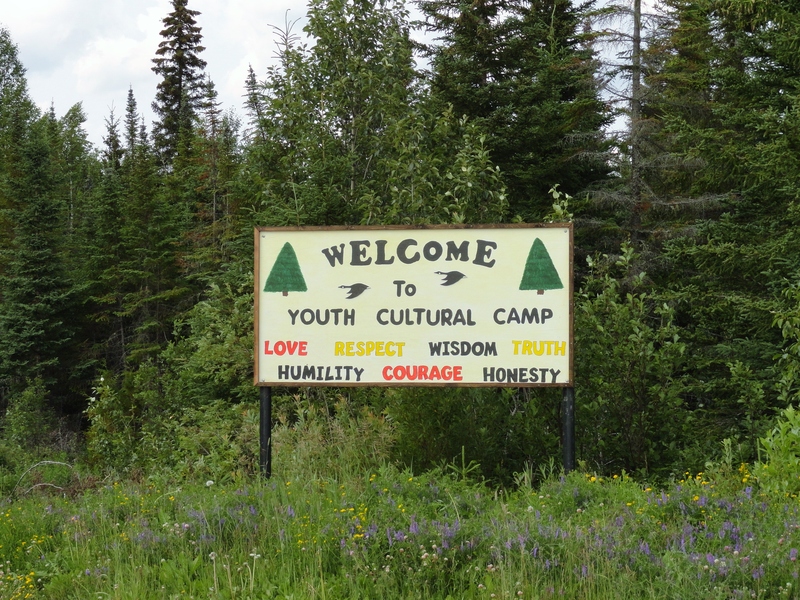 Wanting to make it back to town in time for a community event, our stay at the Youth Camp was somewhat short-lived, but I certainly plan on going back before my time here comes to an end. The walk back went by surprisingly quickly as I took in the view around me and allowed myself to feel small in the midst of the land around me. It seemed like a good time to reflect and think about just how beautiful the land here really is. 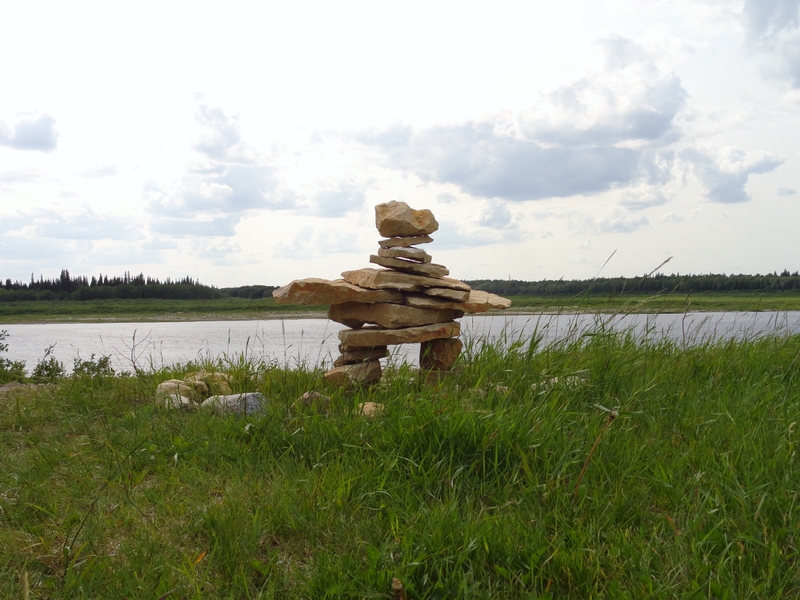 This entry was posted in Fort Albany and tagged First Nations, Fort Albany, Frontier College, Lieutenant Governor's Aboriginal Summer Reading Camp, Northern Ontario, Perspective on July 19, 2014 by nicoledalessandro.